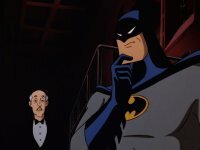 Kevin Conroy calls Batman: Mask of the Phantasm the best Batman film, and now is your chance to see it on the big screen. Fathom Events is going to be playing the animated film on movie screens on Nov. 12 for a rare chance to see this excellent film on the silver screen. Released on Dec. 25, 1993, Batman: Mask of the Phantasm only pulled in $5.6M at the box office in its initial run. Thanks to home video it has grown into one of the most beloved stories of the Dark Knight. You can check out where the film is playing over on Fathom Events, as well as purchase your tickets. Will you be heading out to the theater to check this out?